The teachers at my school, College View Elementary, are doing a year-long inquiry into quality feedback. Our principal, Amy Glime, has lead us through several learning experiences during our weekly professional development time. At first we focused on the feedback that teachers give students. Quality feedback is timely, tied to a goal, and results in improvement. Strong feedback is actionable and answers three questions: What am I trying to achieve? How much progress have I made so far? What should I do next? The questions come from Challenging Learning Through Feedback by James Nottingham and Jill Nottingham (Amazon affiliate link). The three questions not only guide feedback, but are useful for formative assessment, self-assessment, exit tickets, conferencing, and lesson clarity. I designed a graphic for each of the three questions. I’ve posted them in my classroom and use them in documents that I use for feedback and reflection. You can make a copy of this Google Slides document with the graphics inserted as clipart. Click the Use Template button to get a copy into your Google Drive. 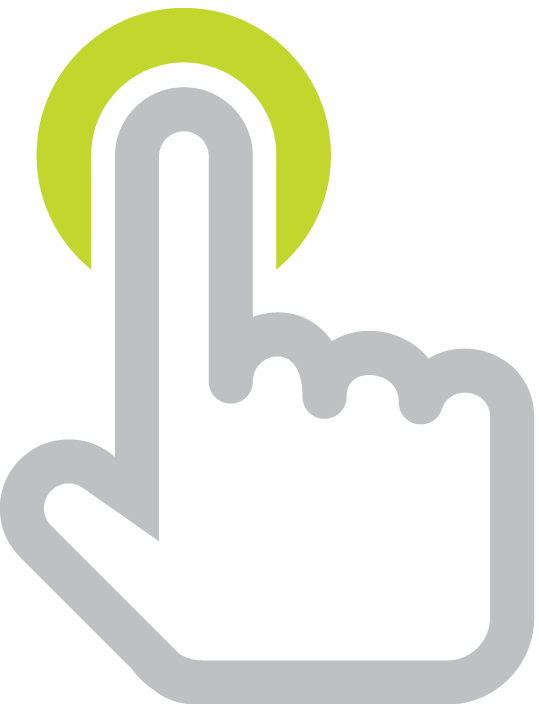 You can change the fill color of the clipart to suit your needs. The three questions are displayed above the whiteboard in my classroom. Teachers at College View are using the questions to communicate learning intentions and success criteria so that students know what we want them to learn and how they know they have been successful. Recently we have turned the focus to student-to-student feedback. Since my students are very familiar with the three questions, I wanted to structure a peer feedback protocol centered around them. I decided that a paper form for partners to fill in would be my first step toward better student-to-student feedback. So that each student knows his or her role, I structured it as a chat. My fifth graders were writing opinion essays, so I listed four goals that we were working toward with those essays. The person receiving the feedback checked one goal for which they wanted to receive feedback. This was my way of trying to keep the feedback specific. 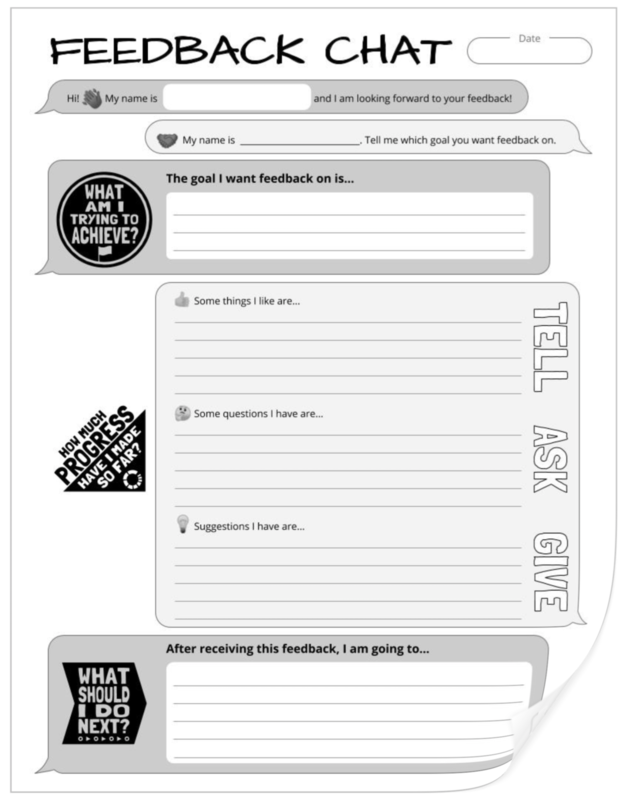 Then the person giving the feedback followed Tell–Ask–Give (TAG) for their assessment of progress. I included hints for TAG on the back of the Feedback Chat paper. The back of the paper also has a reminder to keep feedback kind, specific, and helpful. I encouraged my student not to think of the Feedback Chat paper as a worksheet, but as a record of their conversation. As they finished, pairs of students came to me to debrief from their chat. I looked over their Feedback Chat papers and asked questions about their discussion. I also asked each student if their partner’s feedback was kind, specific, and helpful. If the answer was yes, I gave the partner a sticker. Every single student answered yes, so all my students were sporting stickers. Providing students the structure and coaching to give and receive quality feedback paid off. I witnessed the best peer conversations about their work that I have ever seen. Of course, there's still room for improvement. In particular, my students did not limit their discussions to the one specific goal. We’ll work on keeping our feedback aimed at one goal. My colleague down the hall, Cassie Scoblic, used Feedback Chat with her fourth graders. She reported a high level of success. Other fourth and fifth grade teachers at College View have also used the form and said they will use it again. I created the Feedback Chat document in Google Slides. You’re welcome to make a copy (by clicking the Use Template button) and edit to meet your needs. This version is designed to be printed double-sided, with hints for TAG on the back. My goal is that my students won’t need the Feedback Chat document in the future. What should I do next? We’ll use the Feedback Chat document several more times for practice. Eventually I want my students to participate in quality feedback discussions without the document. Feedback can improve learning if done correctly. I’m happy to say that my students’ feedback conversations made me smile. How do you encourage quality peer feedback? You might consider trying a Feedback Chat.